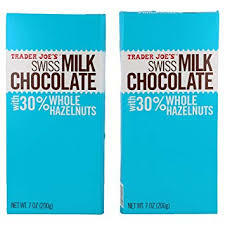 Today, after a few weeks of eliminating sugar in my diet, I bought a candy bar …a Swiss chocolate bar that boasted 30% whole hazelnuts in large letters on its wrapper. I couldn’t wait to get home and break off a big chunk and savor the combination of smooth Swiss milk chocolate and the crunch of the round whole hazelnuts. I know, I know, you would have chosen a healthier dark chocolate. I tried to like dark chocolate, I really did, but I don’t like it.–not at all! A longtime lady of excess, it took me longer than it should have to appreciate the “less is more” philosophy. I get it now, having downsized significantly as I moved to a small downtown Bethesda condo from a 3200 sq foot condo in Florida. The extra-large guest rooms in my beachfront condo have been replaced by one small windowless spare room. The two large balconies overlooking the Gulf and Bay gave way to a tiny “Juliet balcony” not large enough for me to even display a plant. The huge walk in closets are no more, but then again the dozens of sneakers and tennis outfits are no longer either. The bath tub that practically allowed me to swim laps is now a small shower with just enough room for me–good thing I shower alone! But I must tell you, I love my less-is-more life, every bit of it. It is uncluttered. It is calm. It is easy to find things because everything has its place. My milk chocolate bar with 30% whole hazelnuts would have worked well in my previous life. Today, I needed a milk chocolate bar with hint of hazlenuts. I will send a note on to Trader Joe’s to forward to their chocolatier. I know my message will be laughed at, tossed aside and not taken seriously….until of course, someone at Trader Joe’s has to downsize in their life for whatever reason, and then, only then, will they understand what I am saying. High SUCCESSTROGEN women don’t need extra stuff. They, too, have figured it out, “less is more”. They put a high value on the person they have become and what they contribute to their work and personal communities, on their family and friends. They work hard to mak the world a better place, and to protect the people in their lives. They put much less value on accumulating things. If you haven’t already experienced it for yourself, start with a plain milk chocolate candy bar!